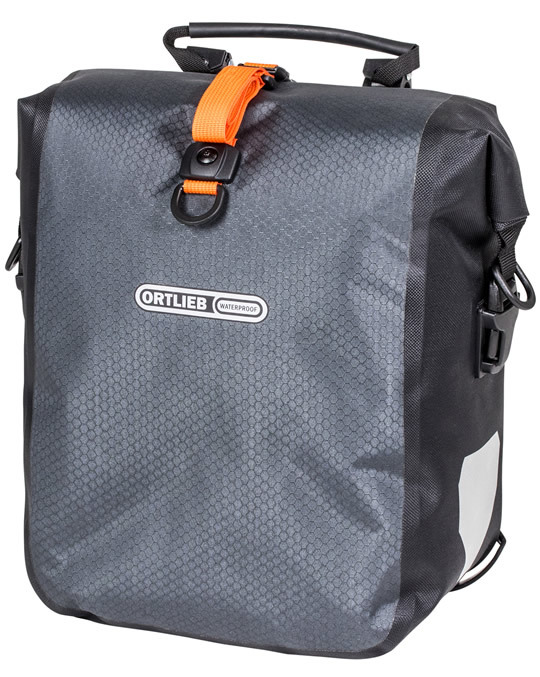 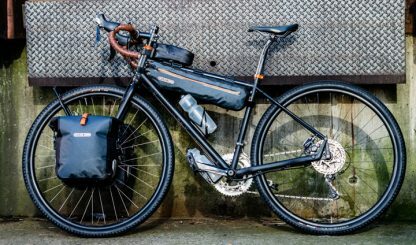 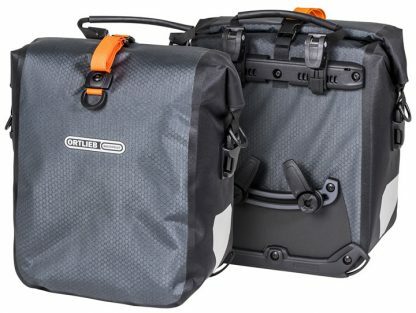 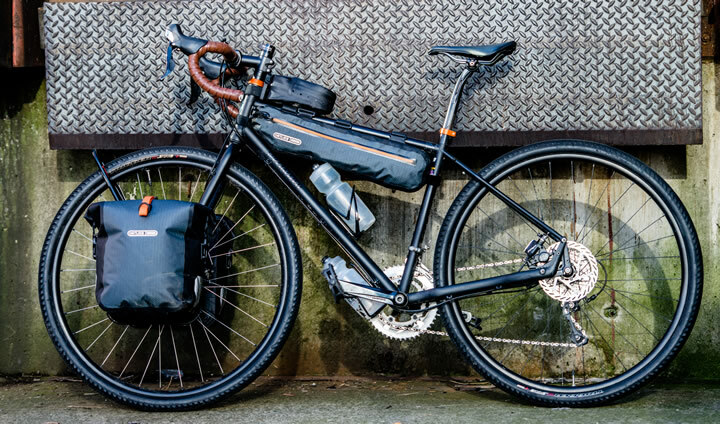 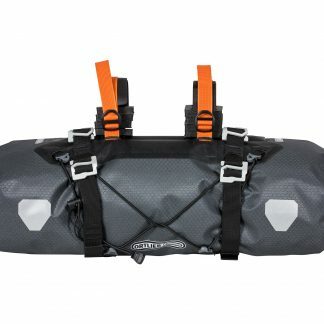 Ideal for multiday tours and self-supported races, the ORTLIEB Gravel-Pack duo offers you a combined payload of 25 liters for additional gear such as mess kits, food and other “luxury” items. Mounting the Pack to your lowrider bike rack allows you to maintain a low center of gravity and undiminished off-road agility despite your extra gear. 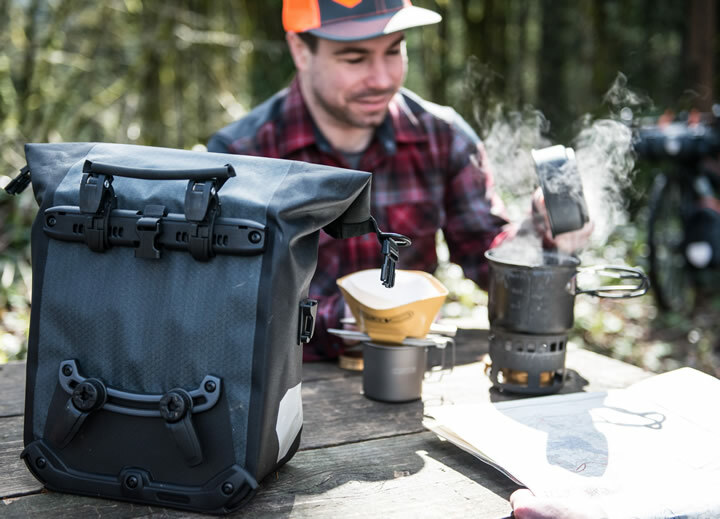 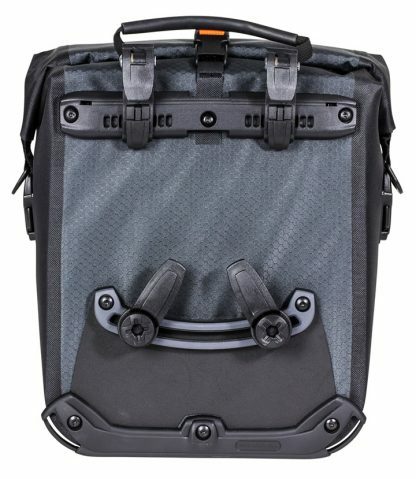 While the Pack’s streamlined design – without inside pockets and a shoulder-strap pad – helps to keep it in the featherweight class, its lightweight, wear-resistant material withstands even the harshest of rock and gravel conditions you encounter on your way. 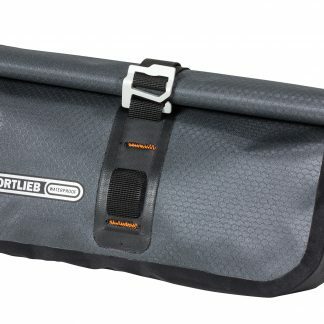 And no matter how wet the weather, your things will stay dry thanks to the proven ORTLIEB-waterproof quality and roll closure. 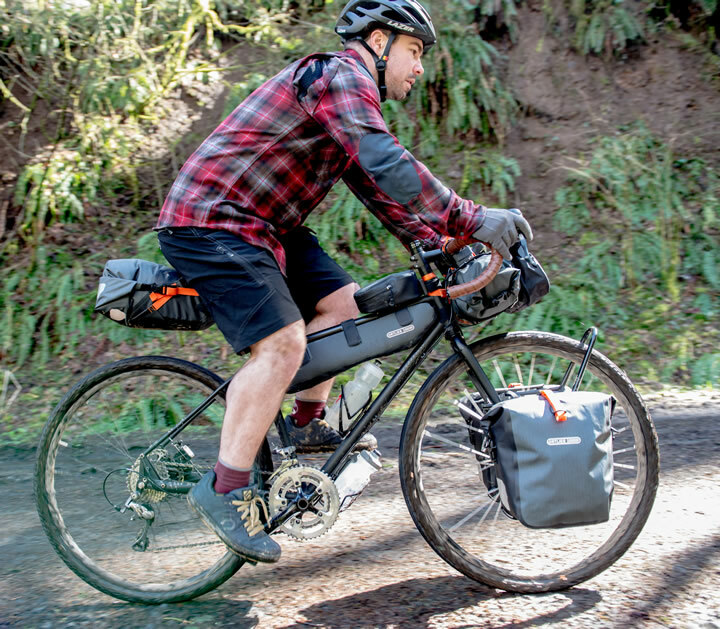 With the QL2.1 system and two mounting hooks, the Gravel-Pack remains tightly attached to your bike rack while you ride over hill and dale on your gravel grinder, mountain bike or fatbike.